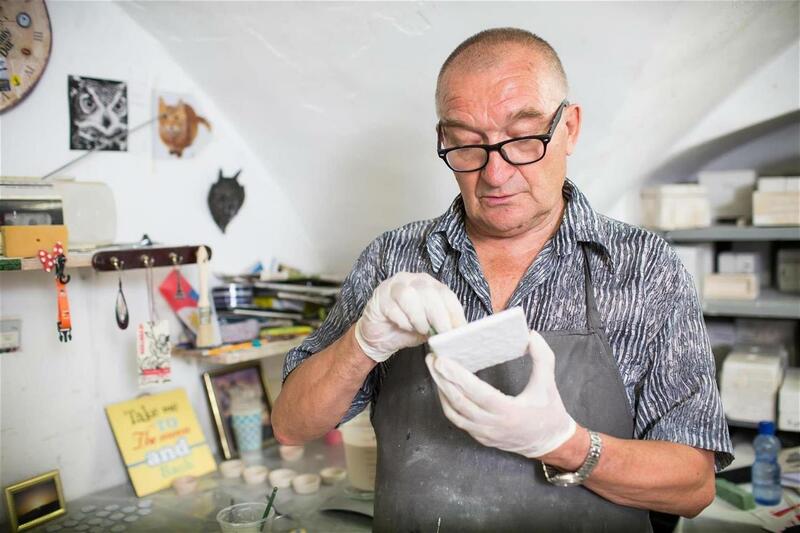 Stay up to date about all things Yad LaKashish. 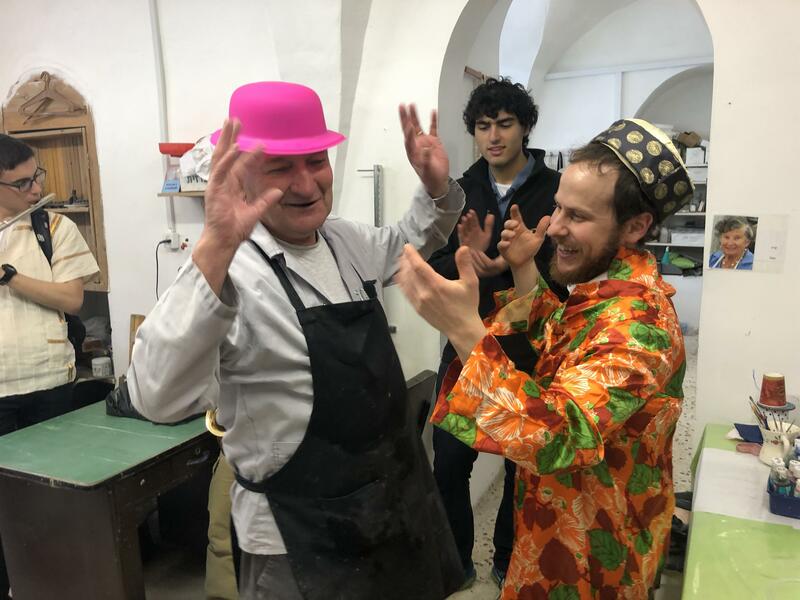 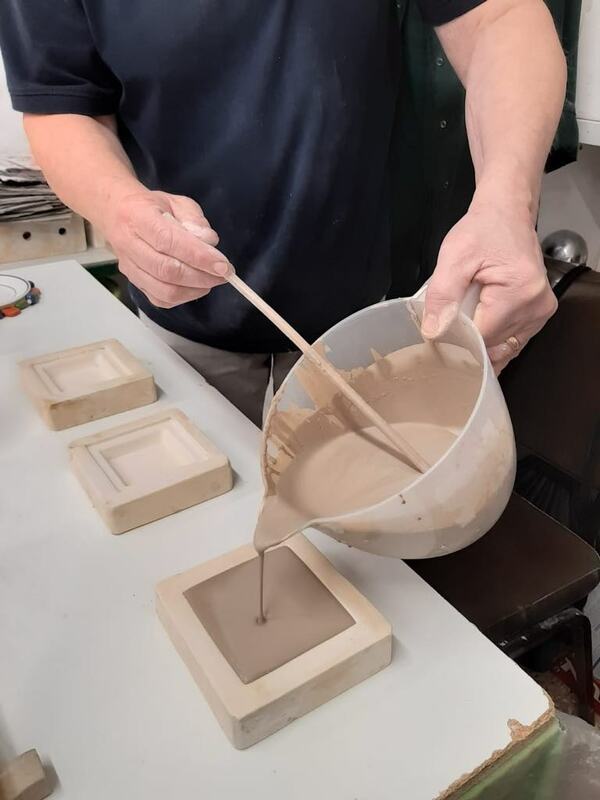 We hope you enjoy reading our Pesach 2019 Newsletter which offers an inside look at the production of our new Seder plate as well as life advice from one of our elderly artisans. 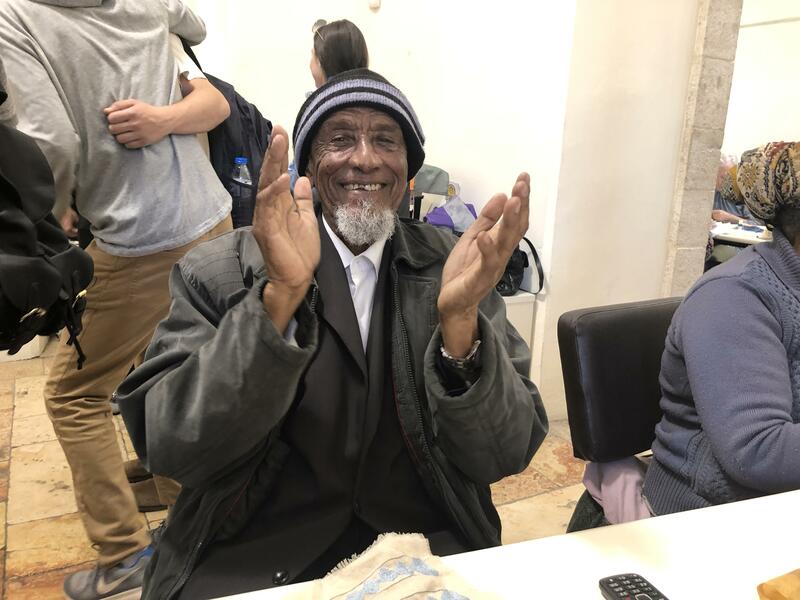 Click here to read our Pesach newsletter! 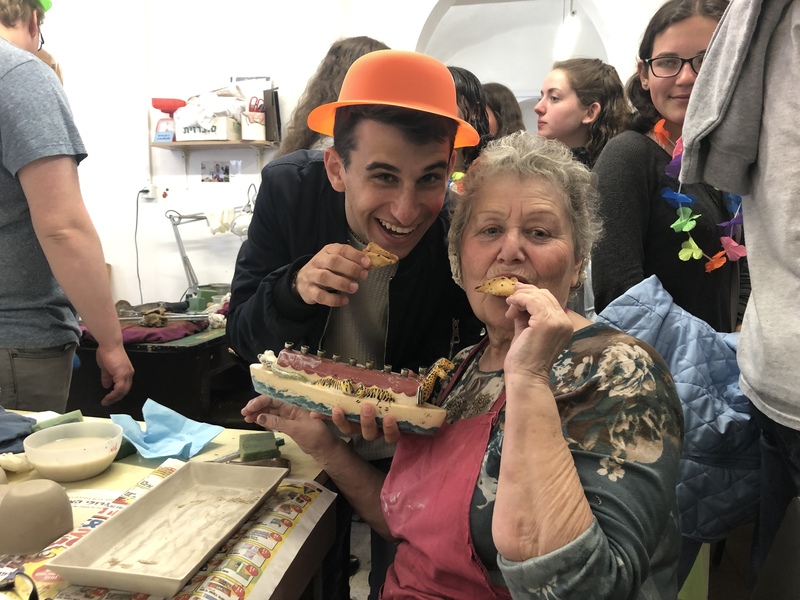 This Purim, we hosted over 120 students from three different institutions! 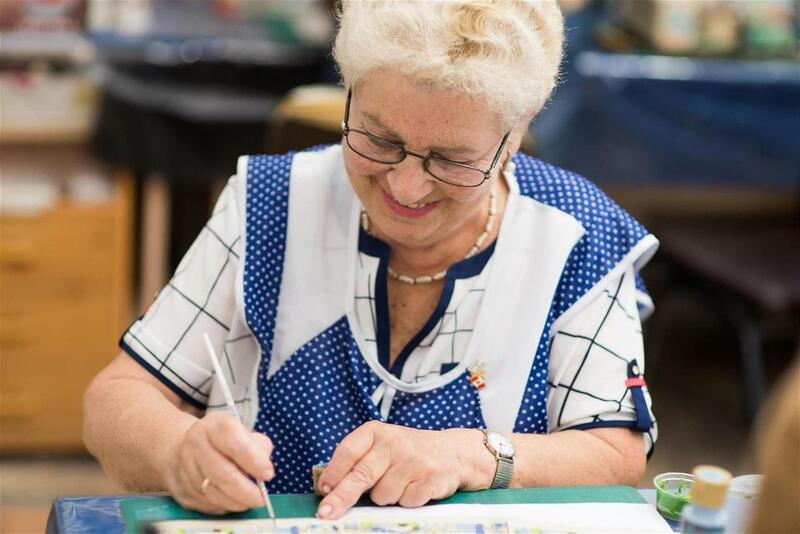 We had a wonderful time dancing, eating hamentaschen, and celebrating the holiday with our visitors. 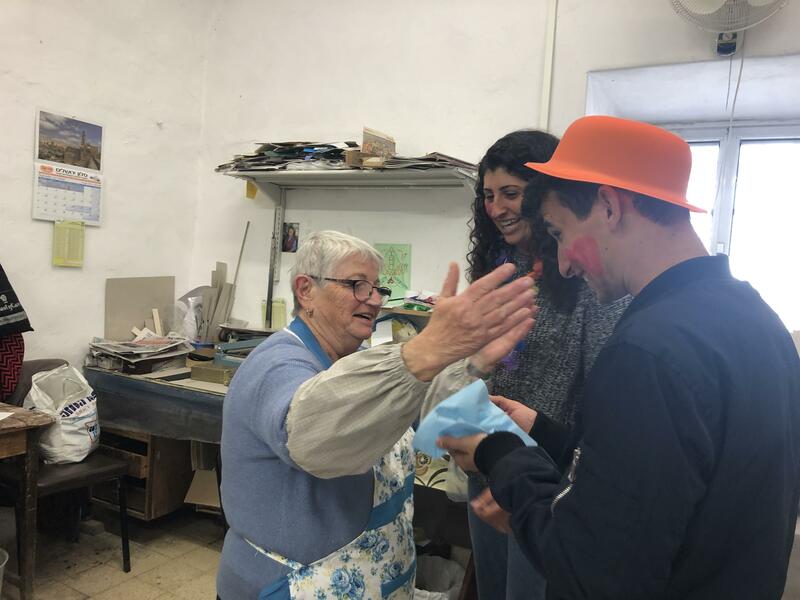 Thank you to Solomon Schechter Westchester, Yeshivat Orayta, and Young Jerusalem for spending your Purim morning with us. 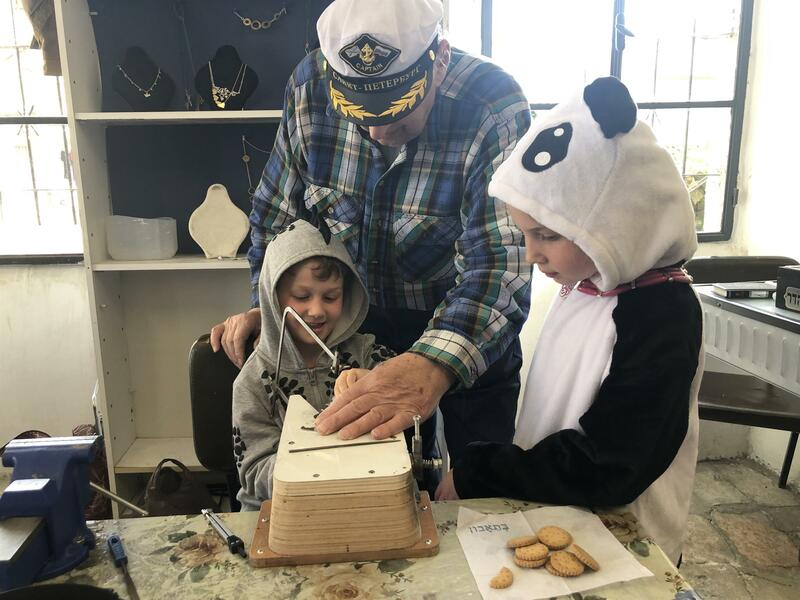 After visiting Yad LaKashish, Ari and Noah G. chose to raise money for us by selling our handmade products in their home community. 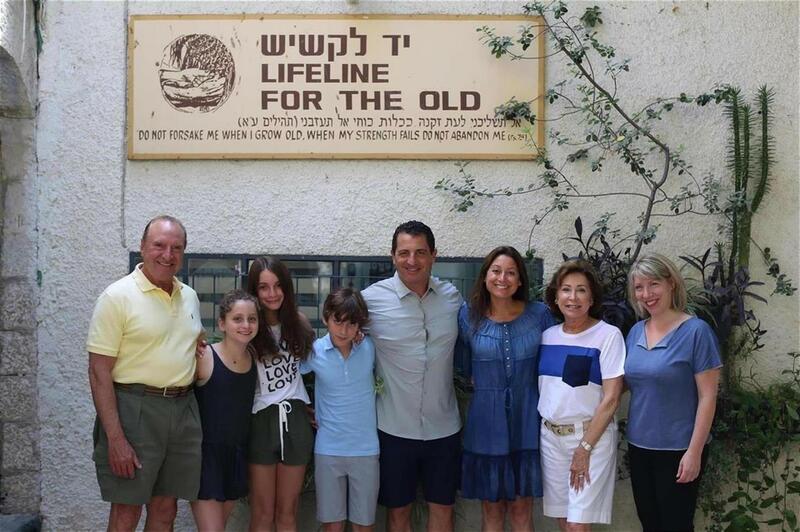 Lucas F. asked that donations in honor of his Bar Mitzvah be made Yad LaKashish. 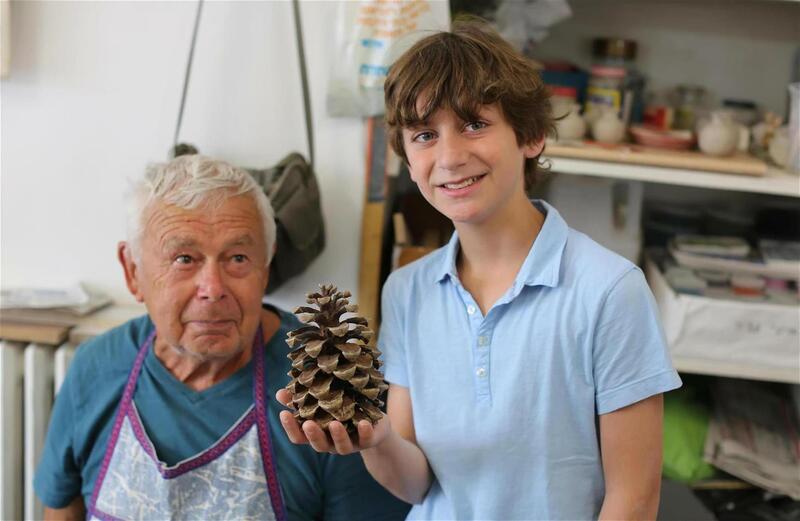 After his Bar Mitzvah, Lucas came to visit us and was able to meet and get to know the deserving elderly artisans that his efforts supported. 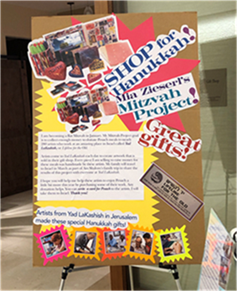 Mia Z. visited Yad LaKashish three years before her Bat Mitzvah and knew from that day that she wanted to use her Bat Mitzvah Tzedaka Project to help support the elderly artisans. 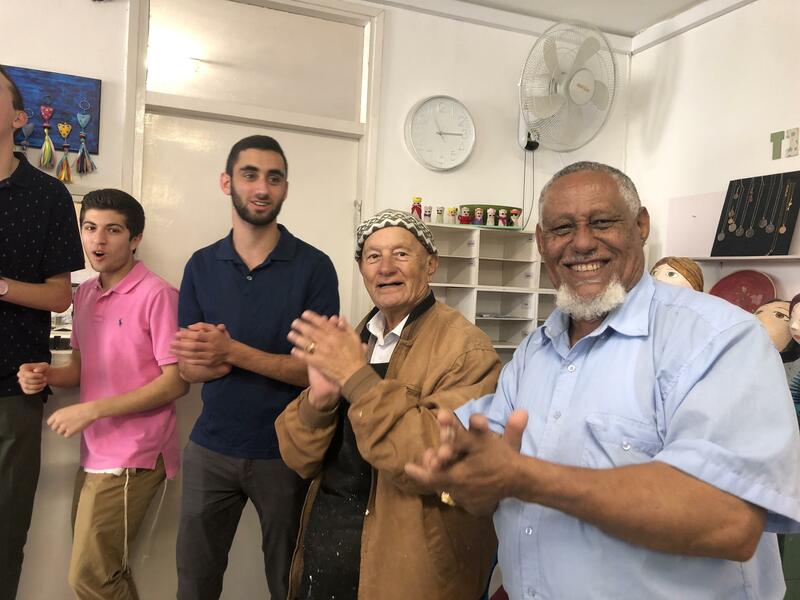 Mia sold products from Yad LaKashish at her synagogue and donated the money she made to Yad LaKashish in support of the Pesach bonus given out to each of the elderly artisans to help them celebrate the holiday with dignity. 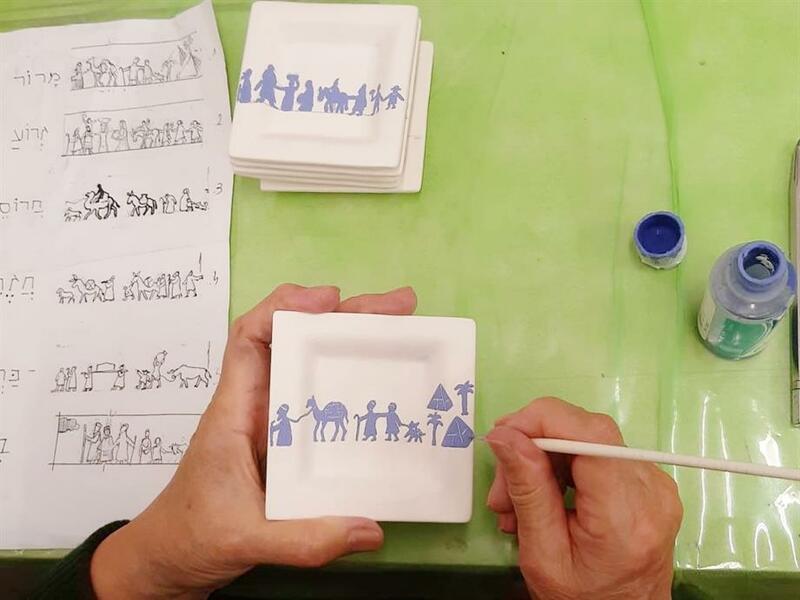 We are inspired by the dedication and hard work of these 4 Am Shalom B'nai Mitzvah students. 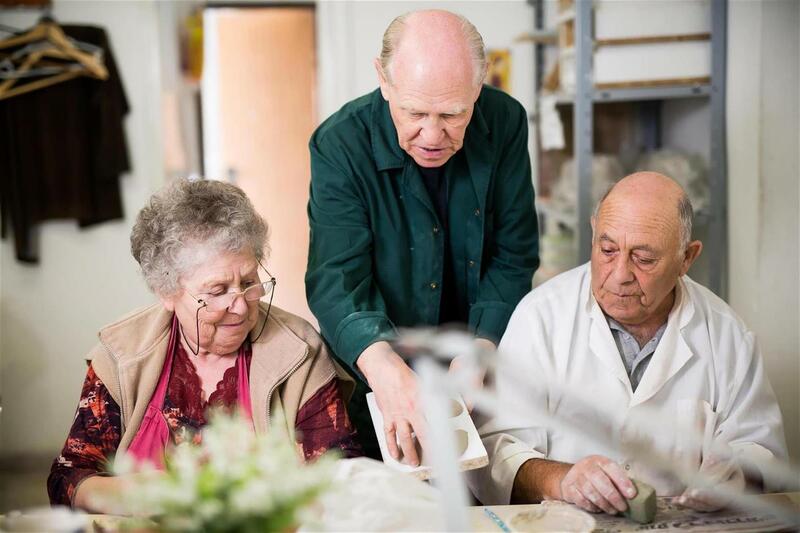 Thank you for supporting us and sharing our mission with your home community.